On this page we will try to answer all of the most common questions that we are asked about matched betting in Australia. These questions could relate to the matched betting process, or to using the bonusbank site. If you have a question that isn’t answered here, please use the search function to look for the answer in our forum. If you still can’t find the answer that you are looking for, you can start a new forum post or ask in the chatroom. 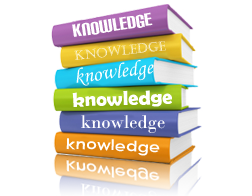 This knowledge base is an ongoing project. We will continue to add to it to is as we think of other frequently asked questions. If there is anything that you think is important and would like us to add, please post in the comments below and we will update the page. Which Sign-Up Bonuses Can I Get in NSW/VIC/SA/WA? When Australian bookies advertise sign-up bonuses, they will usually have a terms saying that the bonus is not available to residents of New South Wales, Victoria, South Australia, or Western Australia. However, as we point out in this tutorial, this doesn’t mean residents of these states should just give up on matched betting. Many bookies will pay bonuses to residents of these states despite their terms. Some will pay the bonus automatically, others will pay it if you sign up and make a request to their customer service, and some will offer you a bonus if you sign up but don’t deposit for a couple of weeks. For more information about how to approach each bookie you can check out this thread. If you find it useful, please add your own experiences so that we have the most up-to-date information available for future members. There are also some other threads which have specific information on signup bonuses in NSW & WA. Can I Make Money Matched Betting From New Zealand? Yes! We have several members who are making money by matched betting in New Zealand. This forum thread has some great info on which Australian bookmakers will pay bonuses to residents of New Zealand. How Should I approach the Unibet signup offer? Unibet are a little different from most bookies in that they offer a Stake Returned (SR) bonus. From our point of view this is great because, in theory, we should be able to retain a greater percentage of the bonus. However, there is a catch. Before you can make a withdrawal you have to wager a total of 4x the bonus amount. So, if you receive a $300 bonus you will have to place bets totalling at least $1200 before withdrawing. All bets have to be above their minimum odds (1.40 at time of writing) in order to count towards the wagering requirement (WR). To find good low-loss bets, you can use the ATM and look in the SR column. The best matches will likely be at low odds, which means there is a high chance that the bet will win and that you will have to keep placing further bets until the WR is complete. In an ideal situation the bets will lose, causing your Unibet balance to drop to zero. If that happens, the WR will be removed from your account. Because you want the bets to lose at Unibet, you might want to consider underlaying. That way, you will make more money if they win, but will save time and effort if they lose. What Are 'Mug' Bets And How Often Should I Place Them? One of the inevitable consequences of matched betting is that bookies will eventually restrict your account. They may do this by limiting your stakes or, more commonly, by banning you from receiving promotions. In order to try and delay this from happening, matched bettors will occasionally place bets that are unrelated to promotions and help them to blend in with the regular ‘mug’ punters. Depending on personal preference, some people will match these bets at Betfair, while others will just let them ride as a normal bet. The effectiveness of mug bets is debatable. Without specific insider knowledge from each bookmaker, it is hard to say how much of a difference they make. But logic suggests that someone who is placing 100% of their bets on promo markets is more likely to get banned than someone who only places 50% of their bets on promos. We have a few different discussions on mug betting that you can read here, here, and here. Can I Still Place A Bet If There Isn't Enough Betfair Liquidity? Betfair is a marketplace where you are trading bets with other Betfair users. As such, your bets will only be matched if there is someone willing to take the other side of them i.e. they back when you lay. The liquidity figure underneath Betfair odds shows how much money other users are willing to match at those odds. But what if you want to lay (or back) more than is available? In this situation, your bet would be matched up to the available amount. Any remaining amount would then stay in the market as an unmatched bet, waiting for other users to take. In a high-liquidity market, such as horse racing or soccer, this unmatched bet might be matched in a matter of seconds. If it is a low-liquidity market, however, it could take a while. In both cases, there is a risk that the odds move against you and the bet is never matched. This could potentially lead to you losing money, so we only recommend placing bets when the Betfair liquidity is greater than your stake. What are the Betfair Commission Rates For Each State? Betfair has a standard commission rate of 5%. That applies to almost every sport, in every country, around the globe…except Australia. Due to the differing fees charged by the AFL, NRL, and the various racing commissions, Betfairs commission rate for Australian sports is variable. AFL currently offers the lowest commission of any sport, at 2.5%. NRL, unfortunately, goes the other way and is at 6%. These rates can change from time to time. You can get up-to-date info, plus the rates for trots and greyhounds, on this page. You can also find the commission rate for a specific market by clicking on the ‘Rules’ button. Can i still do the daily plays if i don't have access to one of the bookies? Check out the promos page and look for another bookie that is offering a promo. Swap this new bookie with the one that you don’t have access to. This is the best option. If that option isn’t possible, you can just look for the best available odds. By doing this you will reduce the qualifying loss of the play. It will also count as a mug bet. The only other thing that you have to consider is the acceptable amount of Qualifying Loss. If you have gone with option 3, the Expected Value of the play will have decreased, so ideally you want the QL to decrease as well. If the play has several bookies involved, removing one won’t make a big difference to the EV. However, if there are only 2 or 3 bookies the EV could drop a lot if you remove one. If that is the case you should only continue with the play if you are able to reduce the QL a significant amount. In all cases, you should use the dutching calculator to make any adjustments to the play. What Happens To Bets If A Player Retires Or Is Disqualified In Tennis? Matched betting on tennis carries some risks that you do not find in other sports. This is because of the way that bookies settle bets in the event of a player retiring. Some bookies will void all bets, others will pay out on the player that progresses to the next round. If you are matching bets between a bookie and Betfair, it is important to understand the rules, otherwise you are exposing yourself to risk. The same goes if you are dutching between two bookies. This thread shows how each bookie settles bets in the event of a retirement. It also shows which bookies are compatible with each other for matched betting on tennis. Can I Profit From Each-Way Betting? An ‘each-way’ bet is a bet where your stake is split in two and half is put on your selection ‘to win’ and the other half is put on your selection ‘to place’. This is most associated with horse racing, but also applies to golf tournaments, first goalscorer markets, and some other areas. Each-way betting isn’t particularly common in Australia, but occasionally there will be a matched betting opportunity that arises when a bookie offers extra places. This is normally on a big UK horse racing event or a major golf tournament. Here are some threads on how to take advantage of the racing offers and the golf offers. We are sometimes asked if we will be adding an ‘Each-Way Matcher‘ to the site. This is a feature that can be found on some UK matched betting websites. Unfortunately, Australian bookmakers approach place betting in a different way from their UK counterparts, so this strategy would not work in Australia. Can I Make Money From Bookmaker Multi Offers? Yes, you definitely can. This thread gives more info on how you can do it. Should I Use The Cash-Out Option That Is Offered By Bookies & Betfair? ‘Cash-Out’ is a feature that most bookies have added over the last few years. It let’s punters lock in a profit (or minimise their losses) while a match is still in-play. Bookies have spent a lot of money advertising the cash-out feature, and there is a reason for that…they make more money when punters cash-out. Bookmakers make money by offering odds that are less than the true chance of something happening. This is known as the bookies edge. When you cash out, bookies make double their edge. This is because they give you poor odds pre-match, and then more poor odds in-play when you cash out. A much better option for matched bettors is to use Betfair to cash out their bets. You can do this with the help of the bonusbank calculators and a VPN. It isn’t possible to change the username that you log-in with, but we can change how it displays in the forum and chatroom. To change your username, just send an email to [email protected] with the subject “Change Username’. Be sure to let us know what you would like your new username to be. What Time Are The Daily Plays Posted? The plays are generally posted between 7am and 8am aest. If they are going to be posted later than this we will post in the chatroom to let everyone know. An email is sent out to advise when the plays have been published. Where Can I See Past Results From The Daily Plays? You can see the profit or loss from every suggested play here. How Can I Keep Track Of My Bets? Our BetTracker spreadsheet is ideal for recording your bets and keeping an eye on your total matched betting profits. It is available as either an excel download or on Google Sheets. How Do I Send Private Messages To Other Chatroom Users? You can easily set up private chats by finding the member in either the chat logs or the user list, and then clicking on the speech bubbles. This will open a new private chat window. Yes. In fact, every Premium member is automatically given an affiliate link that they can share with family or friends. Anytime someone signs up through this affiliate link, the original member will receive 25% of the subscription fee. This doesn’t just apply the first month, we will pay the 25% for every month that they are a member. You can find your affiliate link here. Can I Make A Suggestion Or Request About A Site Feature? Of course! We are always looking for new ways to make matched betting in Australia as easy as possible. If you want to cancel your account you can do so here. Please note that changing the plan to a Free account will automatically remove any Premium account privileges. So, if you want to keep using the site until the end of your current subscription period just cancel the subscription without changing the plan.